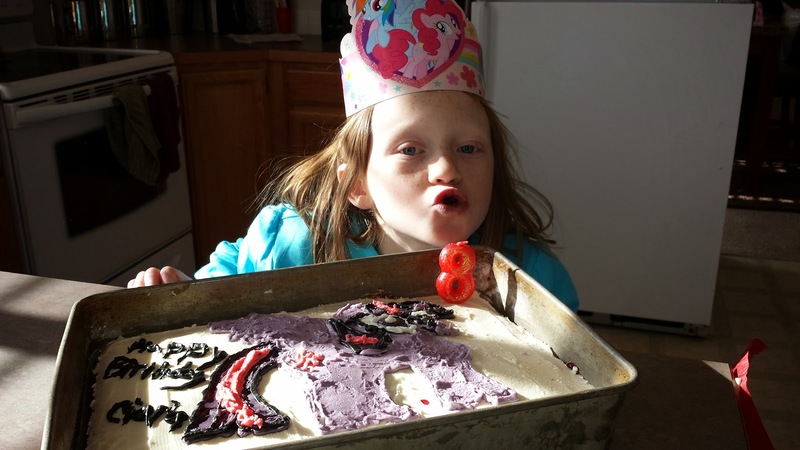 Kitty turned 8 on January 31. We had a fun birthday party with her friends the following day. 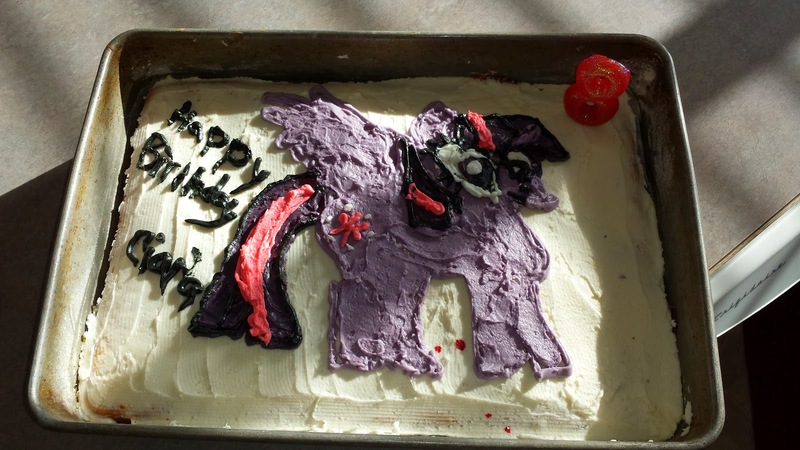 I also made her a very special birthday cake. 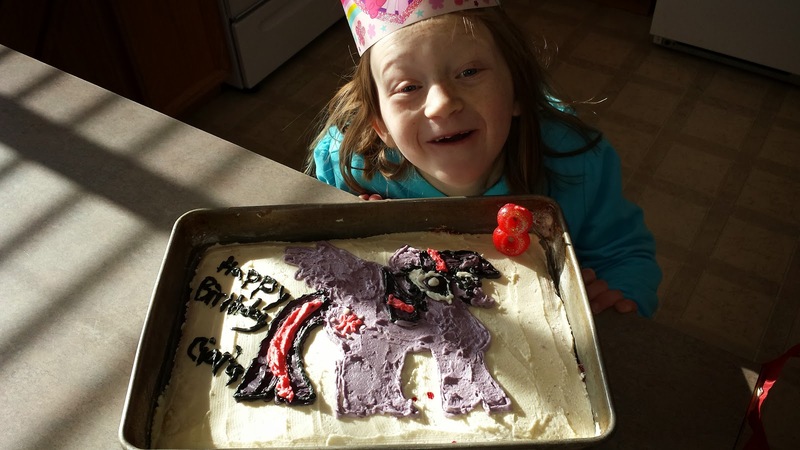 She wanted Princess Twilight Sparkle on a strawberry cake. I used a white cake mix and added about 2 cups of frozen strawberries to the mix and then followed the directions on the box. For the frosting, I made regular frosting with butter, powdered sugar, vanilla and milk. I then took the white frosting and made four different colors for Princess Twilight Sparkle ( dark purple, light purple, black and pink). The purples were challenging to make but I learned that in order for them to get darker you just have to keep adding drops of both red and blue. After some trial and error I finally got it right. I then placed the colored frosting into zip-lock bags and cut the corners out. 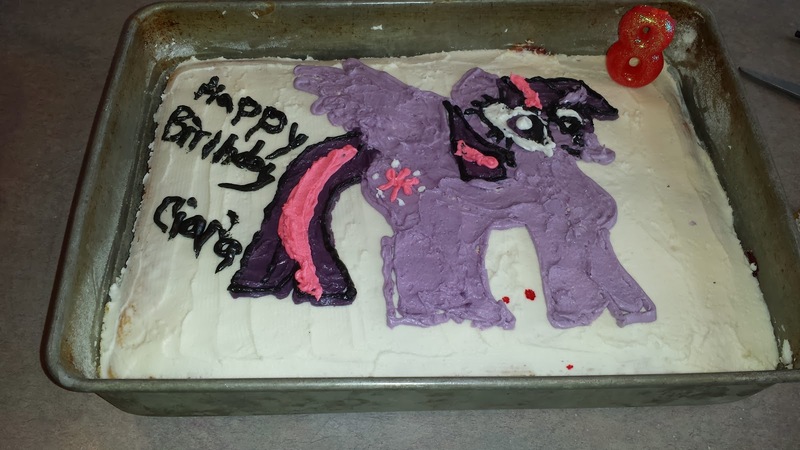 Using an image I printed out from my computer as a guide I piped out Princess Twilight Sparkle with my frosting. The most difficult part was the eyes and I don't think I got them right. But, Kitty still loved her cake! What special things do you do for your children's birthdays?